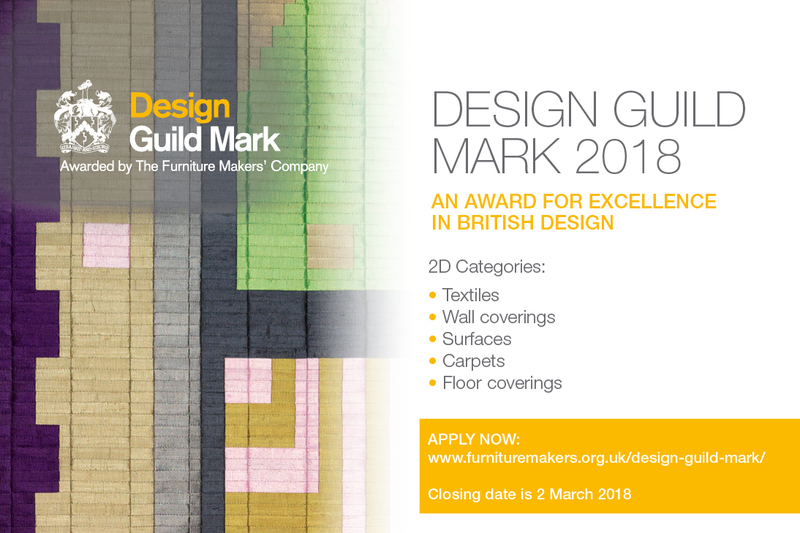 The Design Guild Mark, awarded by The Furniture Makers’ Company, has launched the call for entries for its new 2D — fabrics, textiles, wall coverings, floor coverings and carpets — design category. The prestigious Design Guild Mark rewards excellence and raises the profile of British design and innovation. The Mark has traditionally recognised the highest standards in the design of furniture for volume production, by the finest designers working in Britain, or British designers working abroad. The deadline for entries is Friday 2 March 2018. For more details click here. The Design Guild Mark has also announced more names for the judging panel for its new 2D — fabrics, textiles, wall coverings, floor coverings and carpets — design category.